These wake up shower melts are the perfect pick-me-up for your morning! 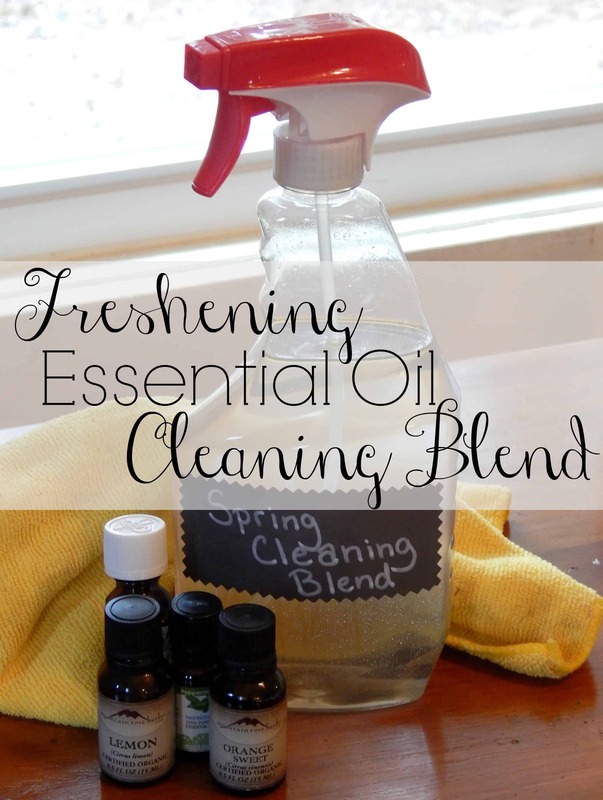 Using a great blend of essential oils they’ll have you ready to go in no time! When I was growing up I always swore I’d never become a coffee drinker. My dad drank a ton of coffee and my sister had a pot a day habit by her senior year in high school. I said I’ll never be addicted to caffeine and need coffee to get me going in the morning. Then my second son was born… and he decided that sleep was not a thing he would do, and for almost 3 years yours truly didn’t sleep through the night. Coffee became my friend! And it still is, we’re besties, it helps me get moving in the morning and wakes me up in the afternoon. However, I’m always looking for even more ways to pep up my morning and make getting my day started even easier! I love essential oils so I thought it was a great idea to make something up to utilize their power to help me feel energized! 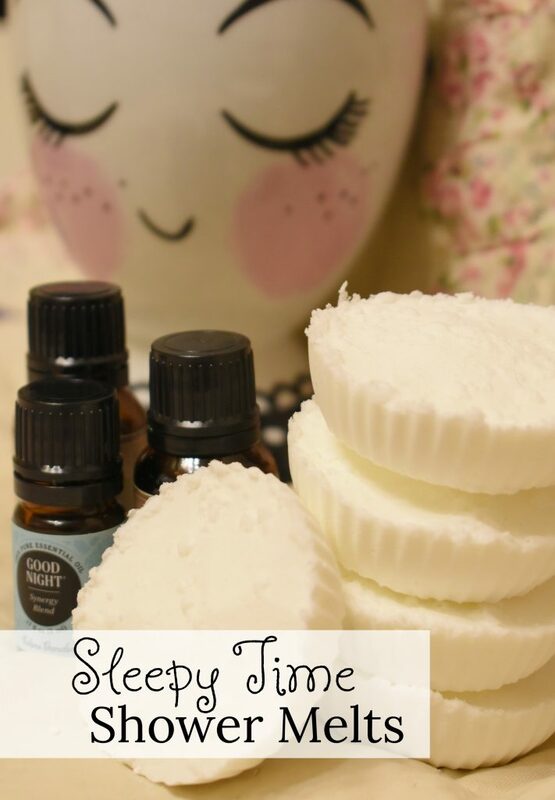 One of my favorite things I’ve ever made using essential oils were my Vicks Shower Disks. I love popping one of them in the shower when I’m stuffy! 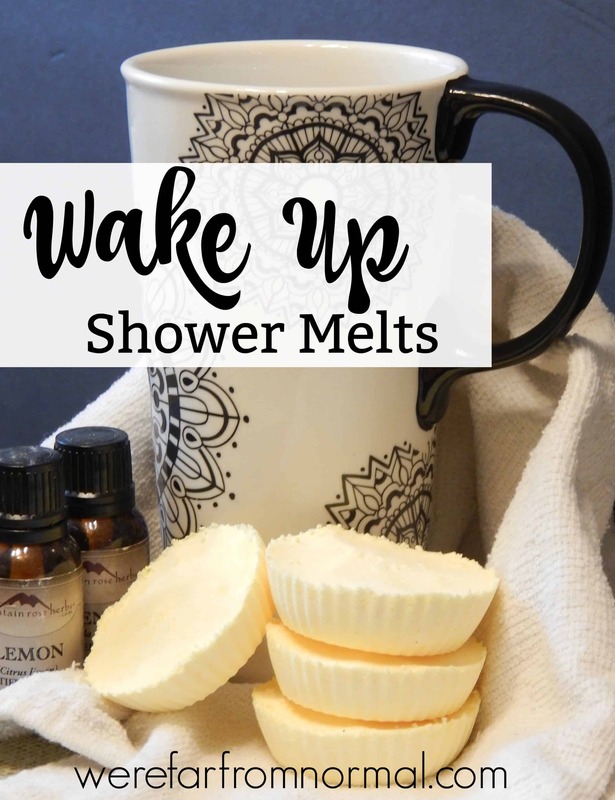 As I’ve been learning more about essential oils and playing around with different scent combos it occurred to me… why not make shower melts with different combinations? Who says you have to wait until you’re sick to use one! So I found a combination of oils that I wanted to use, and these wake up shower melts were born! After a little experimentation, these are great, and they are awesome for waking you up in the morning and helping you get going! 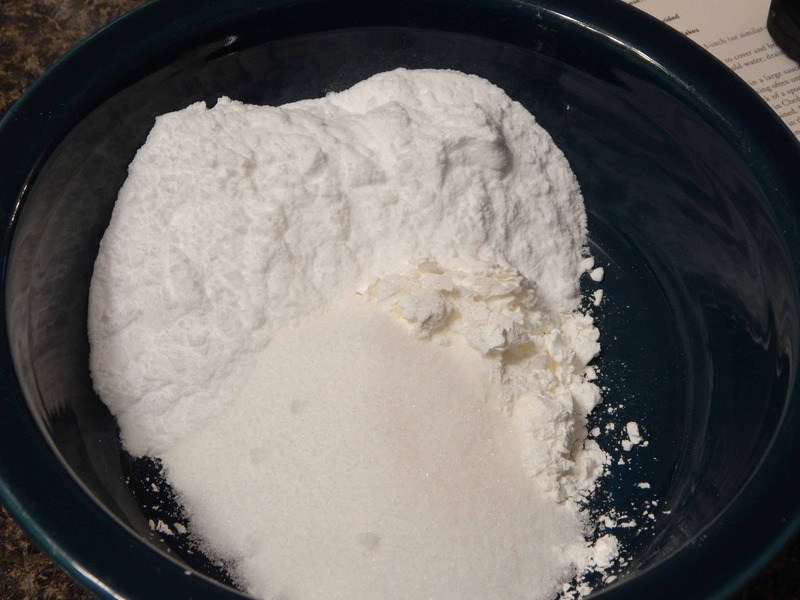 In a bowl combine your baking soda, citric acid and cornstarch. Mix until well blended. After you mix it together create a little well in the middle, we’ll be putting our essential oils and water in there. Add in 10 drops each of your lemon, lime, and lavender oil. Add 5 drops of peppermint. Mix your oils in thoroughly. Now if you’re using food coloring add a few drops to your water. Add your water in a couple of drops at a time mixing each time. There will be a little fizzing action as the citric acid and baking soda react. You don’t want too much of that, but a little is ok. Add in water a little at a time until the mixture will stick together when squeezed, it doesn’t take much. 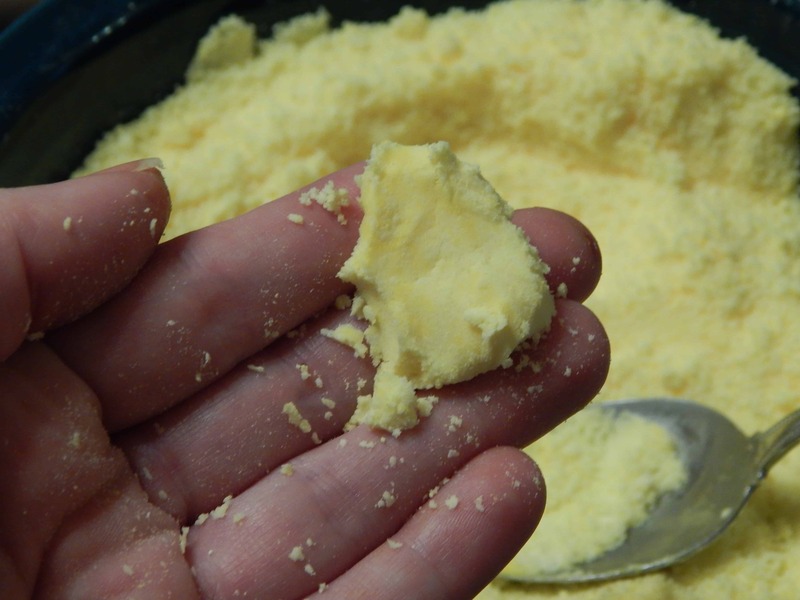 Now press the mixture into your molds firmly. They will puff a bit as they dry so leave a little space at the top. I used silicone muffin wrappers, filed about 1/4 of the way up, because most morning showers in this house are pretty quick. Any size will work, how many you end up with will vary on the size of your mold. You can store these in an air tight container right in your bathroom so they’re easy to grab and use! To use just place a wake up shower melt on the floor of your shower and inhale its uplifting scent! Hope these make your mornings a little brighter & easier!! What a great idea! I usually need a good kick in the pants in the morning. I love essential oils for sleeping and for sicknesses, but it has never occurred to me to use them for this. 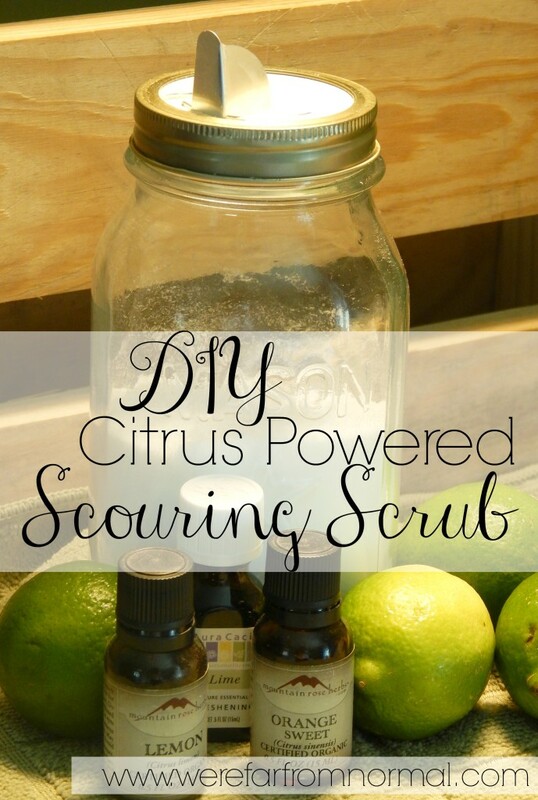 As soon as I find some citric acid I’m making a batch of these! These are great. I never get a shower first thing in the morning, I usually I have to wait until my kids have had breakfast, by then, I’m wide awake. I like these. 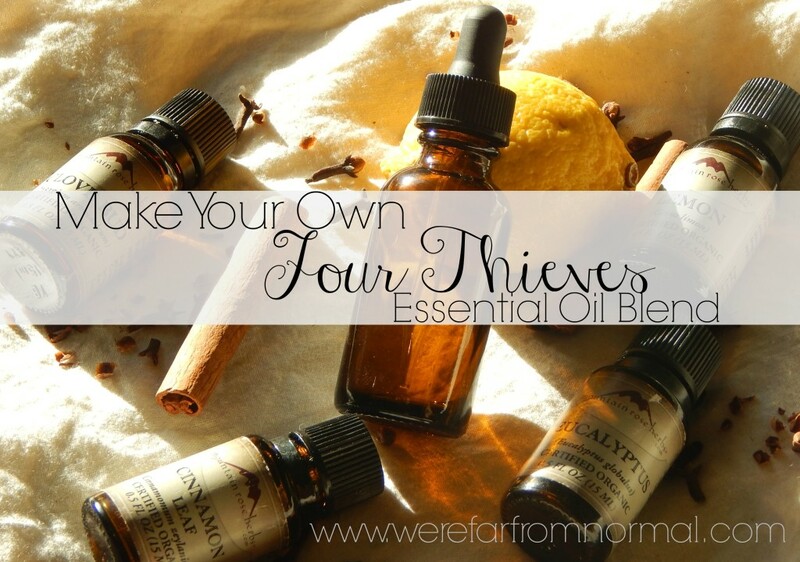 I bet you could make some with mint and eucalyptus oils for when you have a stuffy head/cold . What kind of molds did you use? Could I use silicone ice cube trays or silicone muffin trays? What a great idea! I’ve made a lot of bath salts but I’ve never tried shower melts. Can’t wait to give these a try! I love this idea! What a great way to start your day! Thanks for linking up to the Bloggers Brags Pinterest Party. I have pinned your post to the Bloggers Brags Pinterest Board. I am about to try these! How long should I let them dry? Do I just leave them sitting out to dry, or do I bake them in the oven? Yes, just leave them sitting, I usually let them dry overnight! I have been testing different shower melt recipes and came upon this one. What does the citric acid do ? The citric acid is what makes it bubble when it gets wet. The baking soda and citric acid act like baking soda and vinegar and it fizzes! Hope that helps! Oh my! I have had a few mishaps with it too.. a sort of volcano effect! As with most essential oil products you can smell the scent at first but once you’re surrounded by it, it seems to disappear but you still get the effects. You can always make them stronger by adding more oils, you can even drip them onto the finished product if you want to! These sound like just what I need to try; a question though. I have seen in many recipes for bath bombs using food coloring doesn’t that stain? I am afraid to use the coloring in any of them. The little bit I used in these doesn’t, I wouldn’t use any really bright colors or a lot of it. You can totally omit it though, it doesn’t serve any purpose except to make them pretty! Thanks for the recipe Krista. I gotta try these!! 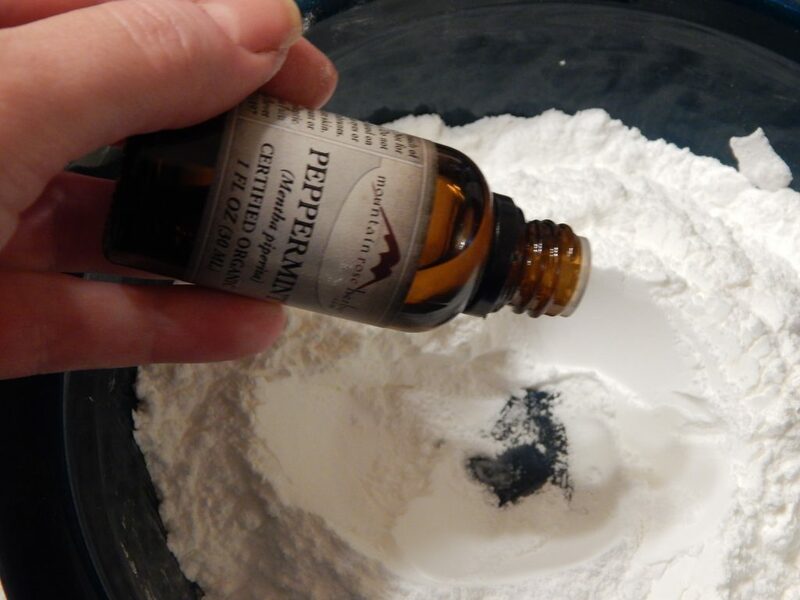 I’m just going down this path of DIY personal care type products and love this recipe. Thanks for sharing! How much citric acid do you use? I didn’t see it in the ingredients, and where can you get It? She said to use 1/4 cup. I bought mine at Hobby Lobby. Hope that helps. 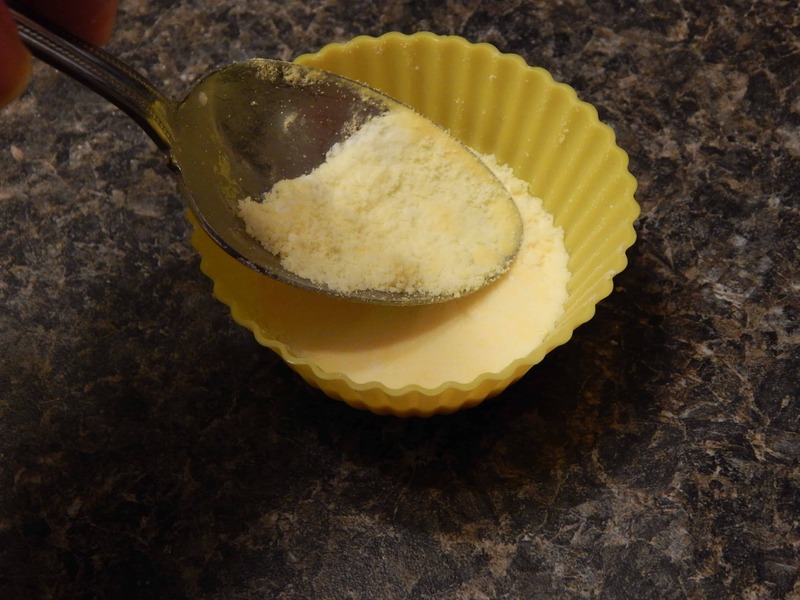 Why do my shower melts crumble as I take them out of the mold– not eNough water, too much water? Is there a special way to lift them out of the mold without causing them to crumble? Thank you for your help. Love the idea of melts since so few members of the family take baths, prefer showers. Can I use thes in the bathtub? Similar to how one would use bath bombs. Sounds great, but will the oils make the shower slippery? I have a balance problem! I have tried two different shower melt diy recipes. They soften after I take them out of the mold although they seem Rock solid. Why? How do I keep them firm? Keep them in an airtight container so that they don’t get the humidity from the bathroom. Help! Mine came out looking like sea sponges with all the holes in them ….what did I do wrong?